Takeaway: Overcoming challenges such as rocky ground, little precipitation, and limited access to seed varieties and the latest growing products, Jamaica’s famous Rockhouse Hotel has established an on-site microfarm to provide its restaurants with the freshest produce possible. Since the 1980s, the city of Negril, Jamaica, and its surrounding areas has been a favorite spot for tourists. The relaxed attitude, warm sunny weather, sweetly infectious reggae music, beautiful scenery, and abundance of fresh local food likely play a part in that. Built in 1972, the Rockhouse Hotel is one of the original hotels established in the west end of the city. I have been travelling to the island, solo and with family, since I was an infant. 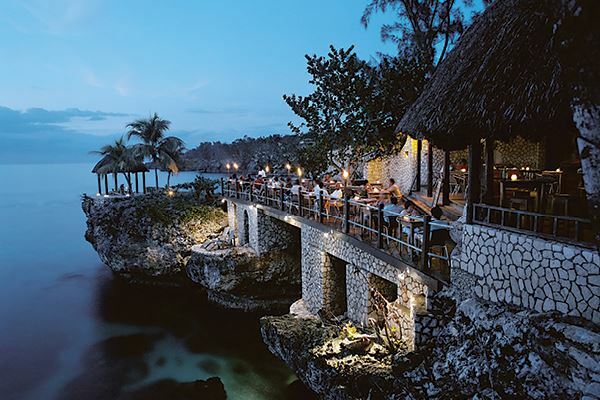 The Rockhouse, which is Green Globe Certified, has that historical “wow” factor that legends are made of; past guests include The Rolling Stones, Bob Marley, and Bob Dylan. 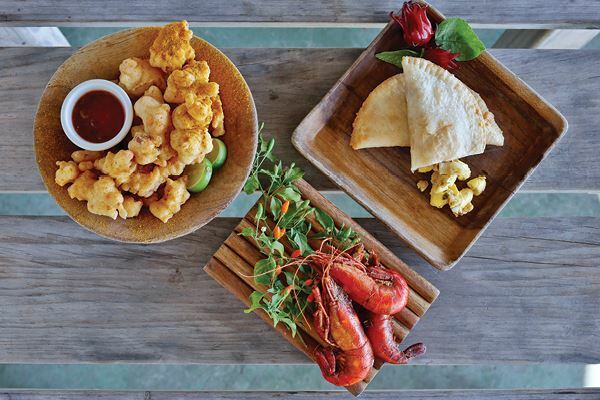 In the last two years, the Australian owners of the Rockhouse set out to build a microfarm on site to better serve the guests of the hotel and the restaurants. I met Bolly, the farm manager, on a rainy Friday afternoon as hotel guests were taking part in a dance reception. He agreed to give me a tour and provide some insight into the farms origins, its purpose, and future potential for the Rockhouse and its surrounding community. The farm is across the street from the main hotel and restaurant property, and occupies roughly one-third of an acre. It is built upon the principle of organic raised beds and planter boxes, which are thoroughly irrigated in the hot Jamaican sun via pressure compensating drip tape. Drip tape is commonly found on small to midsize fruit and vegetable farms, and is a great water saving approach to irrigation. The farm’s crops are utilized in both the hotel’s restaurants, and depending on the time of year and crop succession plan, the farm cultivates between 12 to 20 crops at any given time. Main crops include common culinary herbs like cilantro, thyme, mint, basil, dill, and oregano, as well as calaloo (a spinach-type relative of the invasive pig weed farmers deal with in North America), Scotch bonnet peppers, arugula, and lettuce. Bolly enthusiastically describes the farm as “only natural Ital, and all organic,” referring to traditional Jamaican cuisine, and proudly goes into detail describing the formation of the original wooden planter boxes and subsequent future raised beds. The original planter boxes provided a framework to explore growing basic crops like herbs and leafy greens, while giving the growers a palette for experimenting with soil and compost fertility inputs. In a span of just over two years, Bolly and his crew have expanded to employ more than 40 raised beds, growing a wide array of food and medicinal crops. With severely rocky ground, a large initial load of topsoil had to be trucked in to establish the first crops. The ground was manually leveled and evened out with picks and shovels, with the spent rocks and boulders used to construct the raised beds. On average, the beds are about 15 inches high, four feet wide, and 25 feet long. The farm is intelligently irrigated through a network of drip headers fed from 13 thousand-gallon, UV-treated rain drums. The drums are propped up roughly 10 feet above the level of the garden beds to negate the need for a pump in the garden area by feeding water or nutrient solution through gravity. 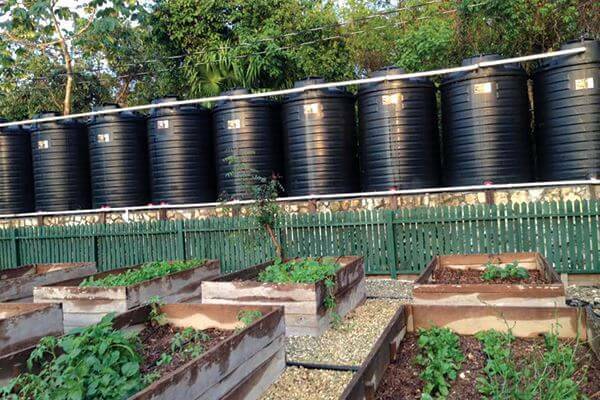 The property was designed to maximize collection and storage of rain water to minimize its foot print on the environment while remaining profitable. All additional rain water from the rest of the hotel’s property is collected in a main underground reservoir and periodically pumped to the farm every month. The sustainable approach to water preservation and irrigation was diligently planned from the start. When probed about the use of fertigation, (injecting liquid fertilizer through the drip lines), Bolly admitted the farm was not yet utilizing this practice, and planned to add it to the cultural plant care regime in the future when resources become more available. Jamaica lacks the same access to commercially manufactured amendments, supplements, liquid fertilizers, and other plant products that North American farmers and growers take for granted. Bolly therefore relies on a potent, in-house compost blend that the team has perfected over the years. All kitchen scraps (including animal waste) are thrown into large open wooden crates bound by threaded mesh. A collection of carbon-rich materials like leaves, sticks, coconut husks, and scraps from tree pruning are added to the nitrogen-rich kitchen scraps with the addition of effective microorganisms. The team aims for a 5:1 carbon-to-nitrogen material ratio for optimal decomposition. A tarp covers the crates, which are routinely turned throughout the week. “Every year it gets a little better. A little richer. More fertile,” says Bolly. The farm also forgoes the use of most pesticides, resorting to only natural botanical-based remedies like neem oil or capsaicin. Bolly methodically intercrops the beneficial pest preventative marigold within many of the raised beds as a form of pest management. The callaloo is planted to bolt and become shady in time for when spinach and chard need extra protection from the sun. Basil is found growing with tomatoes to improve flavors of both crops and to allow shade for the basil. Scallions (green onion) are found scattered amongst several crops for their strong allium scent, which commonly deters some pests in the garden. Some insect pressure is inevitable in this system of farming, but the crops did not seem to mind the odd pest here or there. Since the farm’s inception, one of the primary goals is to utilize the crops in the restaurant’s supply chain to minimize unnecessary travel costs associated with buying certain crops out of town or out of parish. The restaurants can rely on the fact they will never have to source certain crops, and effectively utilize other on-and-off crops in a tastefully inspired, always changing menu. The hotel also offers a juice bar to other travelers along with its guests, which uses more than 50 per cent farm fresh greens grown on site. Roughly between 15 to 30 per cent of the Rockhouse’s two restaurants food supply is derived directly from the farm. The hotel effectively manages and maintains the crops at a significantly reduced labor cost compared to cost of overhead food expenses while furthering the autonomy of the organization. When asked about the future and what could be done to improve the overall operation and performance of the farm project, Bolly says an exclusive farm to table restaurant is in the works. The hotel aims to construct a small dining area built to have a panorama view of the garden beds for guests from the hotel to participate in seasonal, creatively curated meals in addition to engaging educational lectures. Bolly and the farm team are always on the hunt for new genetics and crop varieties to trial for the western part of Jamaica. Seed acquisition in Jamaica, like fertilizer input selection, is quite limited. The farm has had to rely a lot on visitors bringing down seed packets to build up a unique bank of seed diversity. The Rockhouse Hotel and its microfarm are strong examples of what can be achieved at the local level when it comes to food production. In a short time, the team has been able to establish a model for other organizations to follow to better serve their customers and member of the local community. By cultivating produce on site, the Rockhouse has further been able to tap into new modes of sustainability and stewardship while providing the freshest organic crops for its patrons. Photos submitted. Visit rockhouse.com for more details.